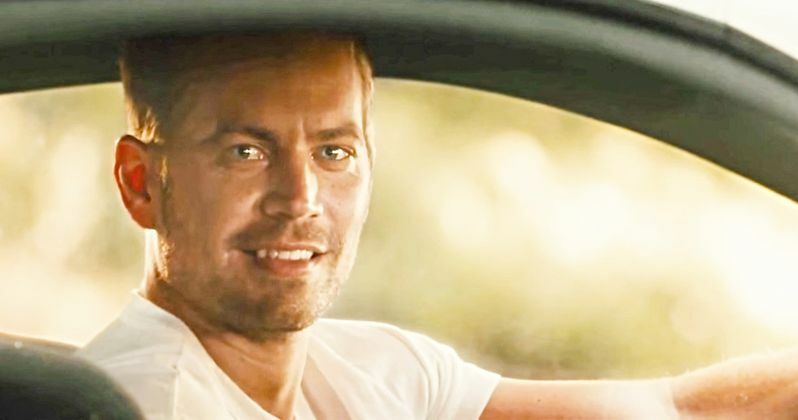 Could Paul Walker's Brian O'Connor make a return to the Fast and Furious franchise? His brothers, Caleb Walker and Cody Walker, are very interested in making that happen. However, they know that it would be a delicate situation and insist that it would only happen under the exact right circumstances. Here's what Caleb Walker had to say about bringing Paul Walker back to the big screen during a recent interview. "I just hope we get to, I don't know, have a little cameo and bring Paul back to save the day and I get to help create that again. That's my dream and I hope we get to do that in one of the future movies." Fast & Furious 9 is currently in the works. It doesn't sound like that's where Brian will come back, if he does eventually return. However, the franchise is far from over. There are already plans for a tenth movie and there is the spin-off, Hobbs and Shaw, which will center on Dwayne Johnson and Jason Statham's characters. Cody Walker is also open to the idea and he is very insistent that any kind of cameo would have to be tasteful. "I think there could potentially be a way to do it. But it would take a lot of thought and it'd have to be tasteful. It would have to be tasteful. He was the real deal, the real car guy. And in his absence, I, you know, I think it's lost its way in a big way." Both Caleb and Cody Walker helped to complete Furious 7 after Paul Walker tragically died in November 2013. Via the help of CGI, the late actor's brothers were able to bring Brian to life for his beautiful send-off at the end of the movie. They opted not to kill Brian off, which left the door open for a possible future cameo. Caleb Walker talked a bit about the fact that they haven't watched Furious 7 since, but that they hope to show their kids someday. "It's kind of creepy sometimes when you're like, 'Oh, that's me.' It doesn't feel right. I think one day, when our kids are little older and we are able to share that experience with them and be like, 'Hey look, this is your uncle Paul. He was the greatest guy in the world and here we are being able to portray him and finish up this movie for him.' That's when I think it will really hit that I think it was really worth it and special and all that. But in the meantime, it's still a little conflicted." While Brian O'Connor isn't likely to return in Fast and Furious 9, Jordana Brewster will appear once again as Mia, after sitting out for The Fate of the Furious last year. Justin Lin is returning to the director's chair for the ninth installment, after taking a break from the franchise for the previous two movies. The movie is currently set to arrive in theaters on April 20, 2020. This comes to us courtesy of AP News.